Mainframe, UNIX and real physical terminal mean real powerful computing. Mainframe server virtualization avoids maintaining many racks of servers with cables adds scalability, savings in long term in green way. The reason mainstream server businesses can not run mainframe as servers is partially initial higher cost of purchase and partially due to lack of knowledge. 5-6 years ago from today we discussed about Mainframe, Microcomputer, Terminal. GNU/Linux is a popular compatible version of the UNIX operating system which can run on mainframe like IBM system z. GNU/Linux is commonly used as a server Operating System (OS). At present z/Linux is distributed by Red Hat Software, also Ubuntu is tested to run OpenStack on mainframe. Mainframe based Linux virtualisation expected to be safe, secure, and redundant. Mainframe OS has matters like dedicated virtual memory LPARs which are designed for both application load balancing and failover in the event of hardware or software issues. Of course enhanced Apache Web hosting, Web services possible to offer which can provide complete access to the existing mainframe in an efficient cost effective manner without additional server hardware. Services which commonly offered are the one which allows connectivity to and from a number of different Operating System Platforms to pass and store data, allows access from any Web application on any platform to legacy CICS applications, allows connectivity to any DIT supported DB2 mainframe database, allow customers to deploy their applications in an environment that could be accessed by Web servers using HTTP, HTTPS or other protocols. However, the topic Mainframe Server Virtualization is different from the above paragraph as the hardware under question in on-premise. It is possible to host more servers per core, scale up and out quickly during spikes in demand, consolidate and deploy wide range of workload, dynamically redistribute system resources. 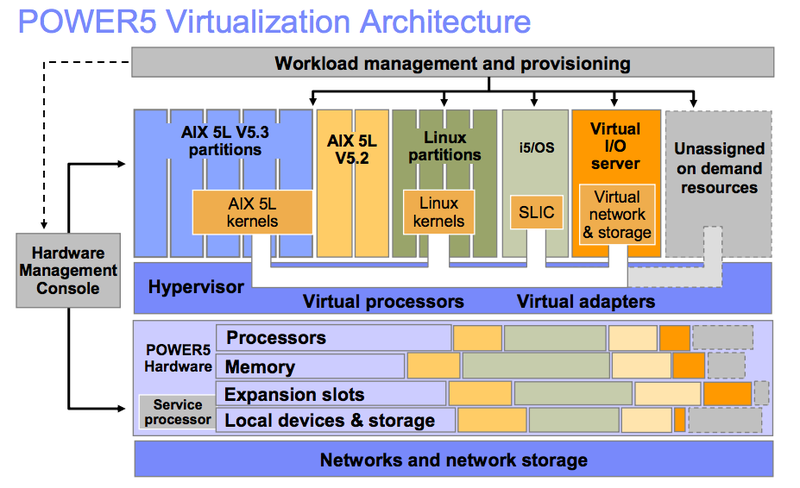 hypervisor calls for I/O, memory management. At present KVM for IBM z Systems available as Open source virtualization hypervisor along with IBM z/VM. This Article Has Been Shared 2291 Times! Cite this article as: Abhishek Ghosh, "Mainframe Server Virtualization : Basics," in The Customize Windows, July 7, 2017, April 21, 2019, https://thecustomizewindows.com/2017/07/mainframe-server-virtualization-basics/.